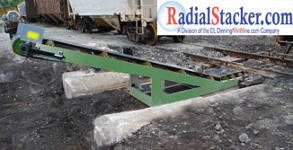 This is one of a series of Rail Car Unloading Systems from RadialStacker.com and DriveOverUnloader.com. 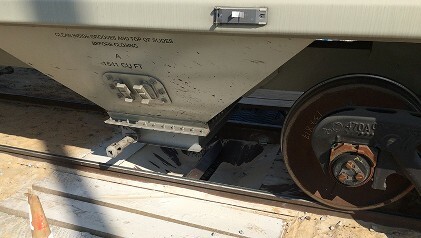 This unit is designed to sit just under the rail. 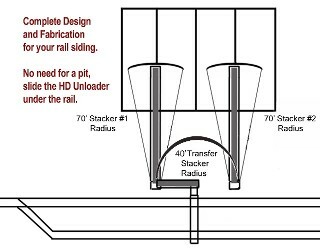 It is an easy in, easy out unit. 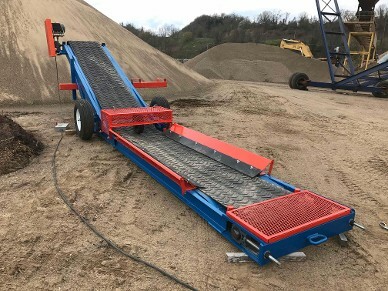 Rail car unloader, electric or hydraulic, IN STOCK NOW!